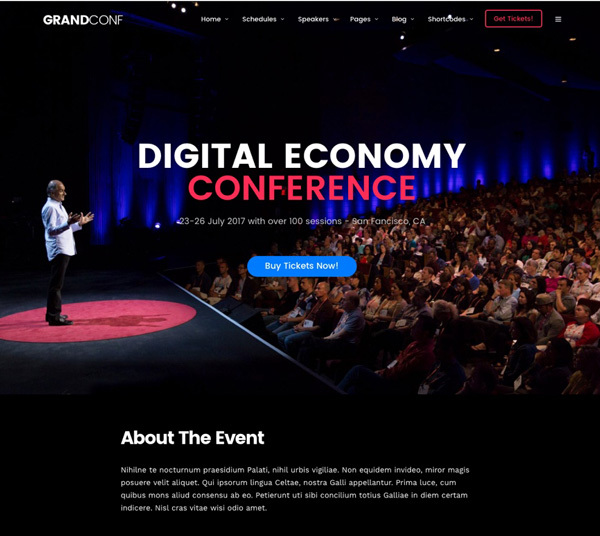 Grand Conference is a responsive modern WordPress theme for conference & event web site. Built with the latest WordPress technology. Grand Conference support responsive layout so it looks great on all devices. It has predefined styling & templates and many features built specially for conference, event organiser or all meetup, seminar events which can be imported with one click. With users’ behavior focus, every pages are designed to look great on all devices no matter what devices users are on laptops, tablet or mobile phone. In case, you would like to deactivate responsive feature, only one click is required in your live customizer backend.